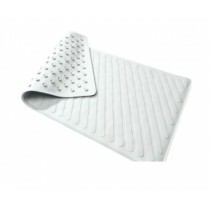 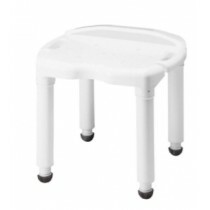 The adjustable bath & shower seat with back features a comfortable seating surface and easy grip handles. 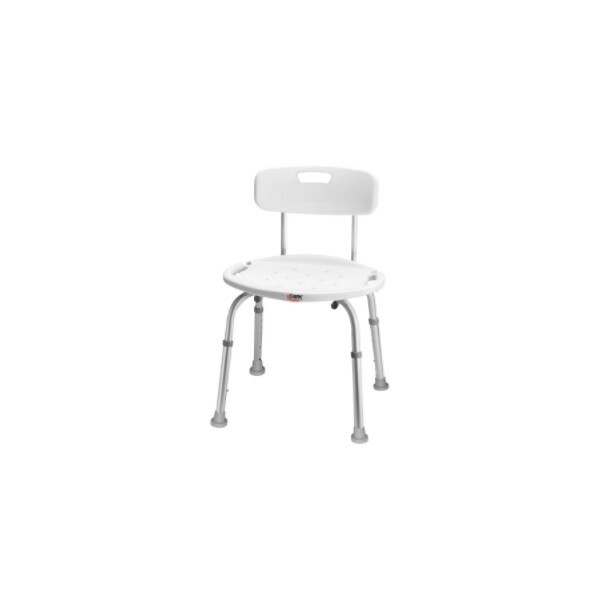 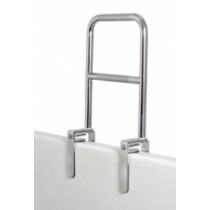 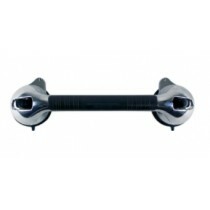 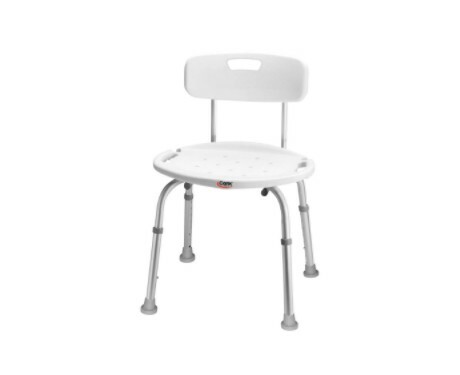 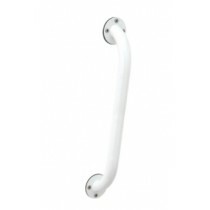 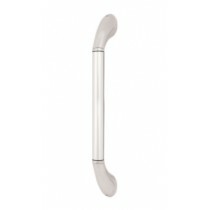 The Adjustable Bath & Shower Seat With Back can be used in a shower stall or bathtub. 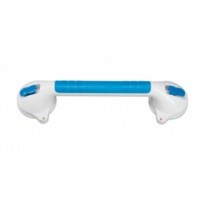 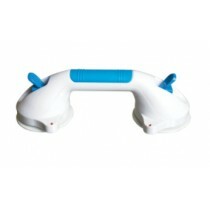 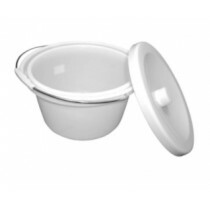 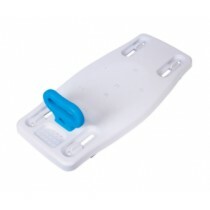 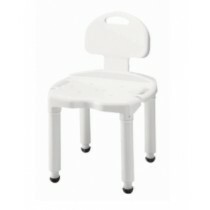 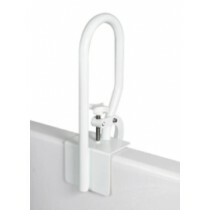 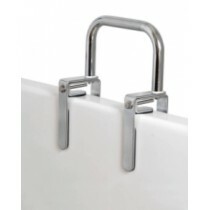 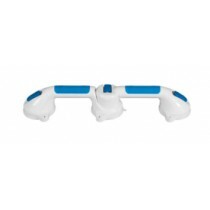 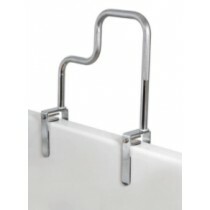 The seat is constructed of durable plastic with easy-to-grip handles and a notch to hold a hand-held shower spray. 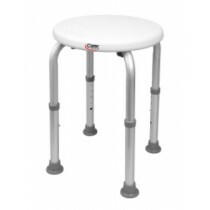 The aluminum legs are flared to help prevent tipping and the slip resistant rubber tips provide added stability.